Can you believe we're halfway through 2014??? Ommmgggggg. I feel like June started about 5 minutes ago...so the fact that I'm sitting here writing out my JULY goals is blowing my mind. June was a really hard month for me, health wise. I spent every day feeling incredibly down from all my medicine/treatments, so I'm excited for a new month that promises a lower dose of all my medicine/less doctor visits! 1. Narrow down + finalize all our major wedding details. February 28th, 2015....the Kellers are coming for you!!! 2. Take our engagement photos. Negative. I can't explain how poopy I felt all month...no way was I going to stand in front of a camera and take a zillion photos. 3. Have our engagement party! Yes! It happened this weekend! 4. Focus on my overall health. Um. No. 5. Read a book. No. I'm the worst. 6. Make a video. Nooooo. 7. Buy a bike. AH! NO! But I'm getting one soon! 8. Be intentional with friends and family. 9. Try some new recipes. 1. Explore. I don't take enough advantage of where I live. There's SO much to do and SO much to see. I'm really craving new experiences these days, so I'm looking forward to checking out local museums and art galleries! 2.Workout at least 3 times a week. Preferably outdoors so I don't get bored! 3. Go on dates with Andrew. Wedding stuff really took over our lives in June, and it's been crazy. We haven't even gone to Disneyland together in like A MONTH. If you've been a long time reader, you know that's way too long for us. 4. Find time and ways to be creative. No specifics here, either blogging, cooking, crafting, whatever...I just want to focus on letting my creativity take over more often. I tend to fill my days with way too much and I rarely leave myself any wiggle room to just enjoy doing things for the sake of doing things. Cheers to a new (short!) 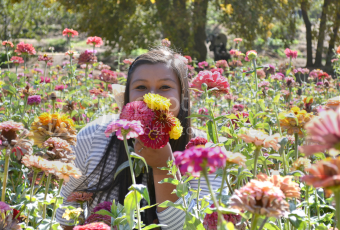 week, and a FUN new month! Health is definitely a top priority for me! Something about summer makes it more exciting to get out and workout so I'm going to take advantage of the feeling!! Always remember to go out during the process and not discuss the wedding. Otherwise it'll really stress you out. I know it's very hard though. I just finished. YES! We've quickly realized that we have to make the time now that we have so much going on! oooh, what kind of bike are you interested in getting? I have a hybrid, which I love! Dates during the wedding planning process are so good! It's important to focus on you two outside of the wedding. Good luck on your goals! Also, (because we always begin all correspondence as if it were continuation of our last correspondence) I need to hear all of these wedding details I missed!! LIKE more details on venue, etc. And give you all of my contacts and stuff for you to add to your list of possible vendors and OMG I need to work out, too. Your Google AdSense is actually taunting me because it is an ad for Crunch and I pay $20/mo to go there one time... #fail. Also, you can totally come with me because I have a free guest every time! I slightly dislike both of you because you can be workout buddies. I need a workout buddy. Alsooooooo let's workout next week!!!! Love your goals! I so need to work on mine because like you I feel like I failed half of mine this month. Haha it's easy to make goals, not so easy to actually follow through!! I love all your goals. I found you from the goals and will be coming back. OMG I can't believe it's July...in a couple of hours. It's flown by! You have some great goals set! Right?!?! It's SO crazy how quickly time passes! Great goals! I can't believe the year is half over either... In September my baby boy goes to Kindergarten, my baby girl turns 1, and I go back to work... this year so far has disappeared in a blink. My goals are to just get out and enjoy the summer with them. Oh my gosh! It must be a crazy feeling watching your kids grow more and more every year! I hope you have the most fantastic summer with them! Holy Cow, Where has the time gone?! Great goals! My goal is to work out 3 times a week too! GOOD LUCK! We can do it! I really really need to make a "bucket list" and a "goal post" to hold myself accountable!! Good luck with all of yours! Okay, definitely making goals this month so I can actually be productive! I just want to be consistent with workouts and blogging :) Good luck w/ yours! Crazy little thing called life :) Cheers to a new month and fun new goals! Hahaha, this made me laugh, "uhm no." 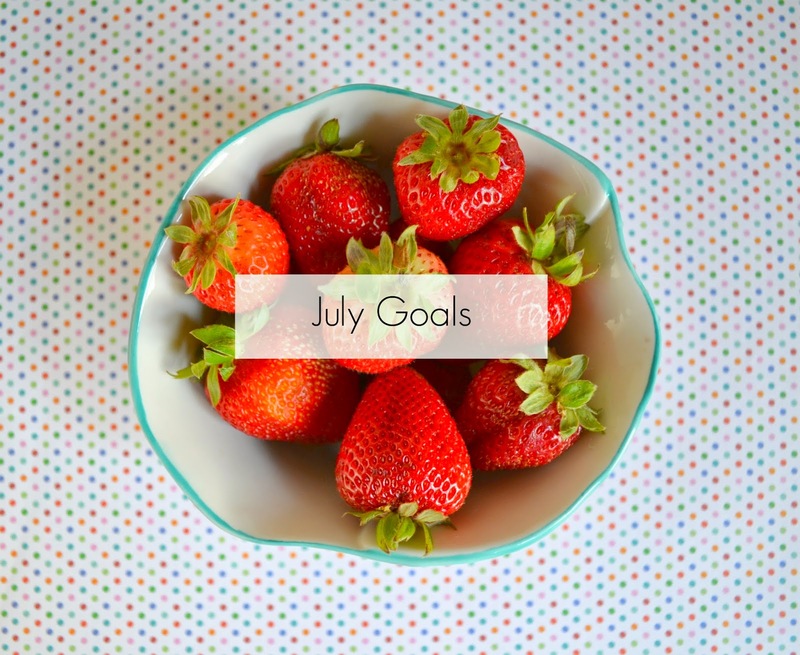 Good goals for july! Haha I am technically blocked out but I can get in weeee!!! We'll all have to go to Disneyland once your passes are valid again! An awesome list :) good luck achieving everything you want to. One of our goals is to make time to be creative blog-wise and writing-wise! Awh you didn't fail dear!! You got almost HALF of your list done! Failure would be considered only crossing off one..or none of your goals off. Hopefully you get to feeling on your game. I bet you're feeling down because of the lack of Disney trips!! Thanks for the encouragement Ellie! I need to write down my goals instead of just think them! Love it! It's totally helpful to write them down! The act of simply writing them out makes you feel more productive!! I jut really want some strawberries now! They're in season so they're particularly delicious these days!! Wedding planning is the pits! Haha. But the end goal is worth it! I so wish that I could go to Disneyland monthly! Disneyland is my favorite! Hahah the pits, love it! Can't wait to see what bike you get!! I have been riding everywhere now, it's so much fun! So excited to get my bike in the next few days!! I can't wait to ride around everywhere! Our photographer also suggested Fall for our photos, glad that worked out for us even if it wasn't our original plan! Awesome goals!! I need to make a list like this one! Lol, the word poopy is reminding me of the vitametavegamin I love Lucy episode. I love that you are planning date nights. So important! Love this list and Disneyland sounds like so much fun!